*NOTE – The following review may contain spoilers. 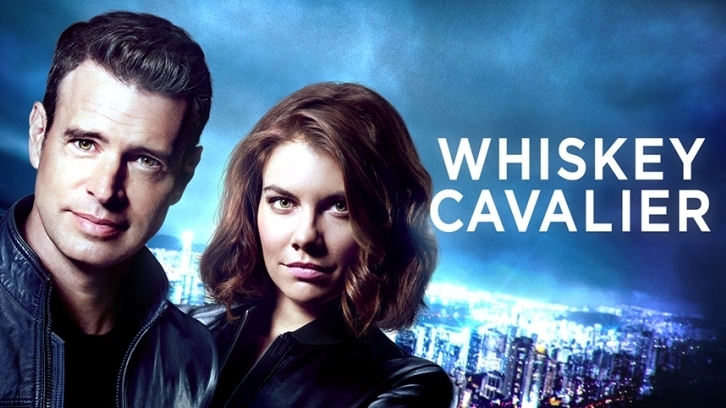 While your regular Whiskey Cavalier reviewer, Rebeccah must be away, it's my pleasure to fill in for her. Being a big fan of quirky spy shows since Chuck , a fun show with lots of heart, action, great characters and totally entertaining. I see a lot of similarities between that show and Whiskey Cavalier. 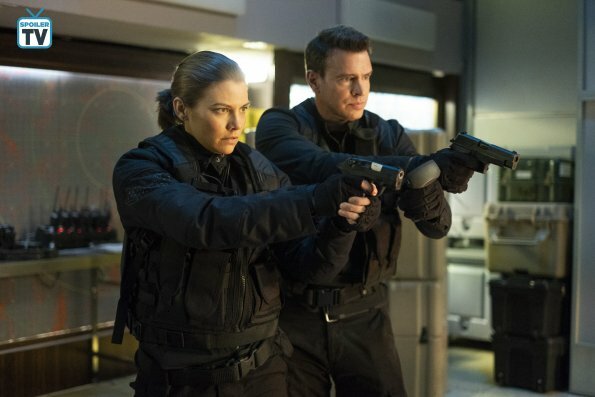 While both feature a slightly goofy, sometimes bumbling male lead, with a deadly, experienced female partner surrounded by an odd collection of characters as a back-up team, Whiskey Cavalier seems just ever so slightly a bit more sophisticated. It has been a pleasure watching this show grow, putting this somewhat eclectic group through their paces as they gel not only as a team but as a rag-tag family. The latest episode, Spain, Trains, and Automobiles (1x07) was no exception. The main story involved the retrieval of stolen plutonium by an old Marine Corps nemesis of Will's (Scott Foley). For a change it was Will is the one wanting to inflict the most pain upon their target to seek revenge of a not so friendly-fire incident during his last tour of duty with Jimmy Coleman (Dash Mihok). In a change of pace, Will is the one anxious to put a serious hurting on the "big bad", with Frankie (Lauren Cohan) being the restrained one. In other words, Will becomes more like Frankie, and Frankie becomes more like Will. After an initial, fun, bar-brawl encounter designed solely to tag their target with a tracker, Frankie and Will are sent to Spain to capture him and retrieve the stolen plutonium he's trying to sell. 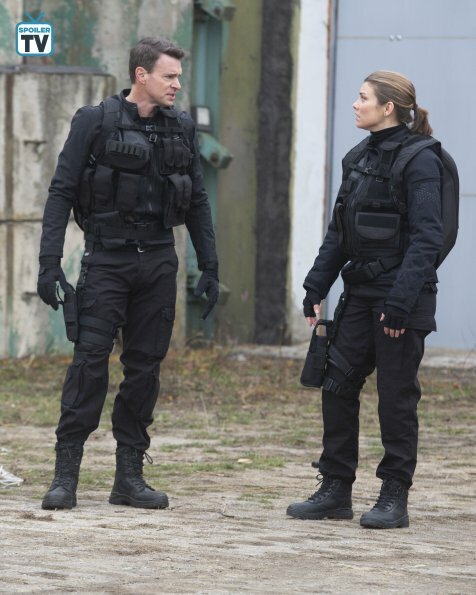 The ever so helpful-NOT- Ray (Josh Hopkins) also arranges for Will's new girlfriend, MI6 agent Emma (Ophelia Lovibond) to go along as back-up since the plutonium was originally stolen in the UK. This doesn't sit well with Emma and causes a rift between the couple, which confuses Will. Leave it to my new favorite BFF's, Frankie and Susan (Ana Ortiz) to explain it to him. Cohan and Ortiz play nicely off one another, sharp dialogue clicking with a smooth, easy rhythm. It would be quite the adventure to see these two be sent off on an all-girls mission in a future episode. Once in Spain, following yet another nicely choreographed fight sequence, which this show does very well, Frankie and Will steal the plutonium back then find themselves without a means of escape meaning they have to go off the grid until the team can come up with another extraction plan. They find themselves in the Spanish countryside at someone's weekend hideaway. Settled in for the night until the team gets back to them, they find themselves "forced" to enjoy the amenities of their hide-out such as warm furry slippers, fine wine, and fig jam. The two both relax, letting their guard down and share an intimate conversation wondering what it would be like to take a break from being a spy and just be normal for a day. While the initial sniping with one another and getting used to working with a partner they share is the more obvious aspect of their relationship, it's quiet moments like this where the great chemistry between Cohan and Foley really shines through. Their quiet moment is interrupted by the arrival Emma, who after a few initial awkward moments informs them she's their new extraction plan. She also admits she volunteered for the job because she didn't like the way she and Will left things after their argument. They flee in a hurry when Coleman calls supposedly enticing Will a share of the money they'd get if he'd let him sell the plutonium when he's really trying to keep them there until his men can attack. Once they make their getaway Frankie calls Coleman and says she'll take the deal to set Coleman up at a train station in Madrid. While Will scopes out the station, Emma and Frankie have a heart to heart with Frankie, being uncharacteristically considerate and kind, reassures that despite the intimate way things looked when she arrived at the cabin, nothing happened between her and Will. Later she, Emma and Will perform a version of radioactive three-car Monti with Coleman to lure him into a deserted section of the station and capture him, while the British agent safely makes a getaway with the real plutonium. 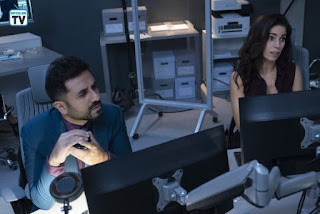 Meanwhile back in the states, in another sign that this team is indeed gelling and becoming a family, Susan, Jai (Vir Das), and even Ray team up to help Standish (Tyler James Williams) navigate the first steps of a new romance with CIA agent Tina (Marika Dominczyk). Yes, the same agent Tina who first incapacitated most of the team in last week's episode to steal back the baby. And of course, Susan, Jai, and Ray do what any good wingman would do, they approach the couple's first date like they would a covert mission and compile a complete dossier on the girl. And once again a friendly suggestion from Ray turns their first date into a disaster, but he does redeem himself by arranging a stake-out and assigning Standish to the duty, then sends Tina in as backup. Once in his own element, Standish is himself, which impresses Tina and the two bond over his ability to take down a power grid and cause a major traffic jam. There may hope for young love and that may not necessarily mean Standish and Tina. Whiskey Cavalier continues to impress with each episode and ABC would be wise to give this fun show a second season. Which parts of the show and this episode did you like best, the action sequences or the group becoming more of a team in the quieter moments? Share your thoughts in the comments below.